Our commercial customers include business parks in Stratford upon Avon, Shipston on Stour, Moreton in Marsh, Banbury and Warwick. We also service industrial sites such as Munster Joinery UK, SIMS, Demag/Terex and Amethyst Group. We also provide grounds maintenance services at Barry Callebaut, Campden BRI and Cotswold Farm Park. 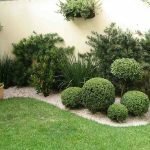 We carry out services such as mowing and strimming, border maintenance, hedge cutting, leaf collection, tree work, fencing and hard landscaping work. We are also very proud to carry out grounds maintenance (mowing and strimming) for three local National Trust properties, Croome Park in Pershore, Charlecote Park in Warwick and Compton Verney.